I find it interesting that MOST of MA is in the same zone as Western WA and Central ALASKA!!! In the immortal words of the great philosopher Bugs Bunny, "What a maroon!" 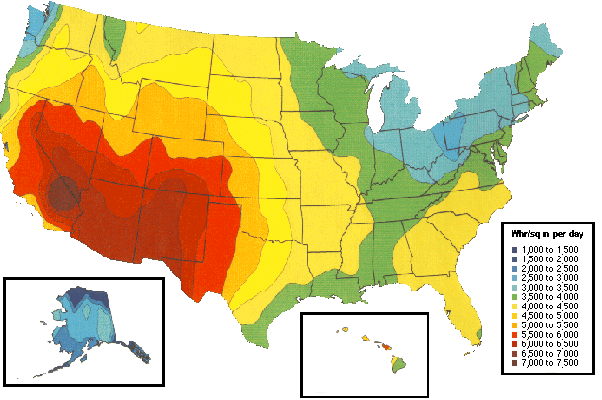 In the sweet spot on the map (Southern Nevada and South Eastern California) PV solar power is barely practical. Without numerous government subsidies it is likely that a PV installation in the sweet spot will never even pay back the costs associated with a PV system. And the Maroons are greatly offended! I've noticed that MIT has put out lots of nonscientific crap like this in recent years. The dumbing-down of higher education has struck what once was considered the best engineering and technology school in the world. If you are a zealot, facts don't matter, provided that you BELIEVE!! My sincerest apologies to the Maroons! 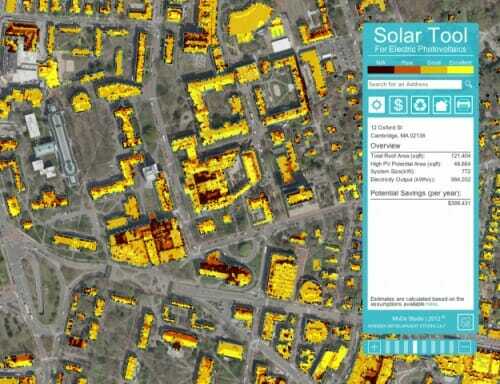 This is an MIT plan to cover almost every rooftop of the *Harvard* campus with solar panels. Why not use the MIT campus (which probably has more contiguous roof areas)? NIMBY? I suspect the rating is for the gullibility of the building inhabitants rather than the quality of light it receives over a year. The solar potential of Cambridge is not as good as the rest of the US but why complain if Cambridge is making some effort to increase use of alternative energy. Also this data takes into consideration the cost of electricity in MA and the advantages of SREC that are available in only select states. 50 cents per Wp solar panels and they last 30-100 years. Inverters last over 30 years now. Redo your calculations. 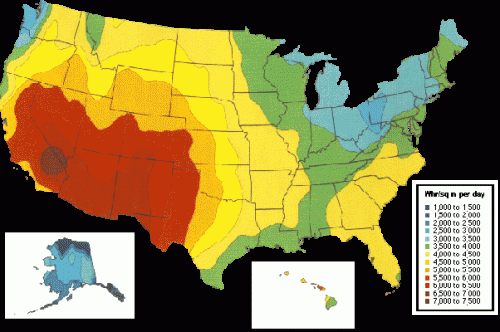 Safely the USA has solar instillation rates twice the rest of the first world. 4% insteald of 2.